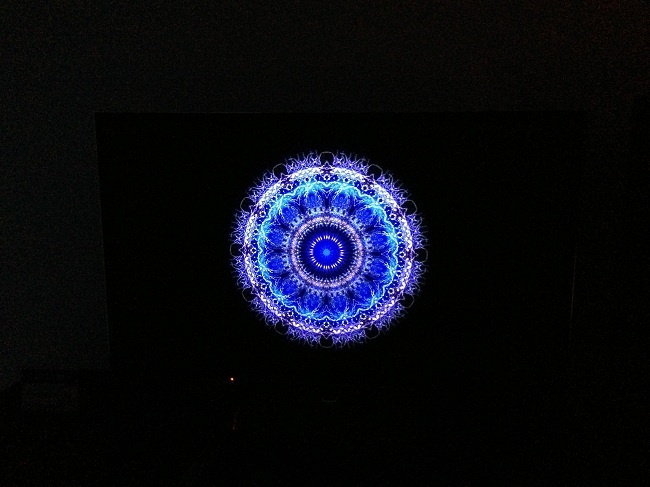 Check out our glowing review of the Panasonic TC-60ZT60 plasma TV. Attending Panasonic’s 8 AM briefing this morning in New York City felt a bit like a funeral – like maybe it was the end of the road for a product that we’ve come to love over the years. If the Panasonic Viera ZT60 is to be the swan song for plasma, then at least the iron lady is going out on top. Rival manufacturer Samsung put the final nails (or did they?) 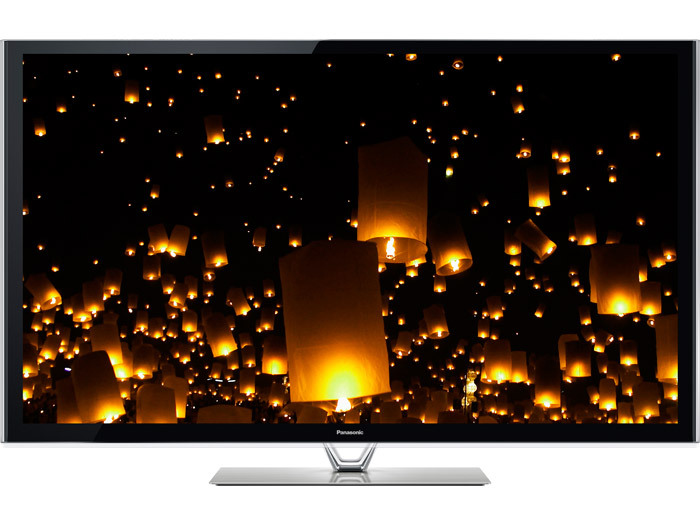 in Panasonic’s coffin a few weeks ago with the launch of its F8500 3D plasma at a star-studded event, but after spending some time with both HDTVs, we’re not so sure that when the history is written, it’ll be the Korean panel that will be remembered most. The 2013 Panasonic Viera ZT60 sits at the top of the food chain, and while pricing still hasn’t been officially confirmed, Panasonic’s representatives told us the 65-inch model we saw today would go for between “$3,700 – $4,000.” The ZT60 showed up to the gunfight at the O.K. Corral with the best looking image this reviewer’s ever seen on a consumer-level 1080p HDTV. Take that Samsung. The long-standing “Is it blacker than Kuro” debate has finally been resolved. Panasonic decided to tackle that issue and let us decide for ourselves by putting the last generation Pioneer Elite Kuro panel up against the ZT60 in a controlled shoot-out for us to judge; same content, same settings, and total control over ambient light. We watched the same loop over and over again until we got bored and ventured outside for the free coffee and food. Throughout the early-morning press briefing, one Panasonic representative after another kept repeating “The most important thing for us is picture quality.” They repeated it so many times, it started to make us wonder if they had nothing else to say. The 2013 plasma and LED line-up have a lot of new and interesting features, but the Viera ZT60 was likely the sole reason anyone came out at such an early hour. Both the 2013 VT and ZT plasma models feature Panasonic’s Ultimate Black “Studio Master” panels with improved black levels, a rather astounding 30,770 gradation steps, and brand new red phosphors. These new red phosphors help the panel create a wider color gamut which, in theory, should result in greater saturation and color accuracy. Some of the earlier Panasonic panels had some issues with red push, so we were curious to see how the new panels would compare to the VT50 from 2012 and the Elite Kuro model. Not only does the ZT60 reproduce the most accurate and properly saturated looking colors (aside from just red) we’ve seen on a panel, but it was quite surprising to see the improvement over the vaunted Pioneer. The ZT60 easily trounced the Kuro in regard to how it dealt with motion; the Kuro’s image was quite soft as images moved quickly across the screen, but to be fair, the Pioneer panel is a few years old and we’re pretty sure that the Kuro would be just as smooth if it were still being manufactured. 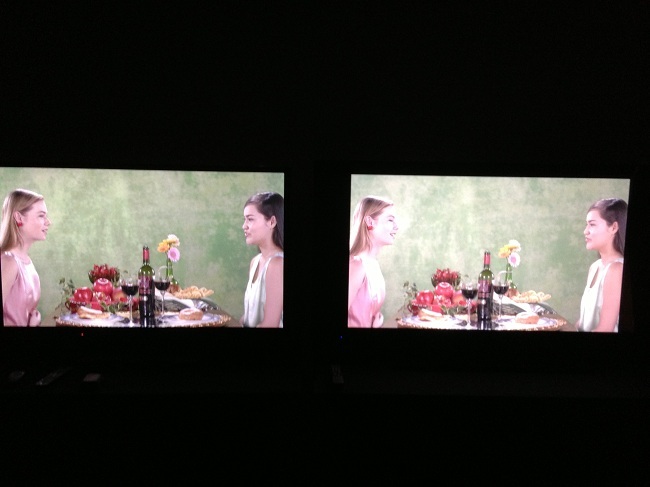 Panasonic’s Viera ZT60 panel on the left versus the last generation Pioneer Elite Kuro panel. dramatically better in that regard. The Pioneer obscured so much detail in some images, we could barely make out what we were looking at. The ZT60’s image just looked more natural, sharper, and far more realistic in regard to skin tones. In the accompanying image, the Panasonic ZT60 is on the left. So with that in mind, why did we leave the Panasonic briefing feeling all depressed? If you have been following the economic situation facing Panasonic, you’re probably aware that the company has decided to slowly wind down its consumer television business over the next three years. Its largest plasma panel plant in western Japan is closing in 2014, and the company has already written off the equipment inside. Panasonic spent a lot of time today talking about LED TVs and the future of OLED, which leaves us to conclude that the ZT60 could be the final chapter in a storied legacy. Knowing all that, we can’t help but to wonder why Samsung and LG would continue to offer plasma HDTVs if the long-term future for both companies rests with LED and OLED. Could it be that both companies, currently struggling to manufacture OLED panels that survive the assembly line, are looking for a stop-gap measure to keep videophiles’ attention while they sort out manufacturing issues work to make Ultra HDTV more affordable? In the end, the consumer loses if Panasonic gets out of the consumer television business; throwing solid innovation and competition out the window. Our best advice? Pick up a Viera ZT60 while you can when they go on sale sometime this May.